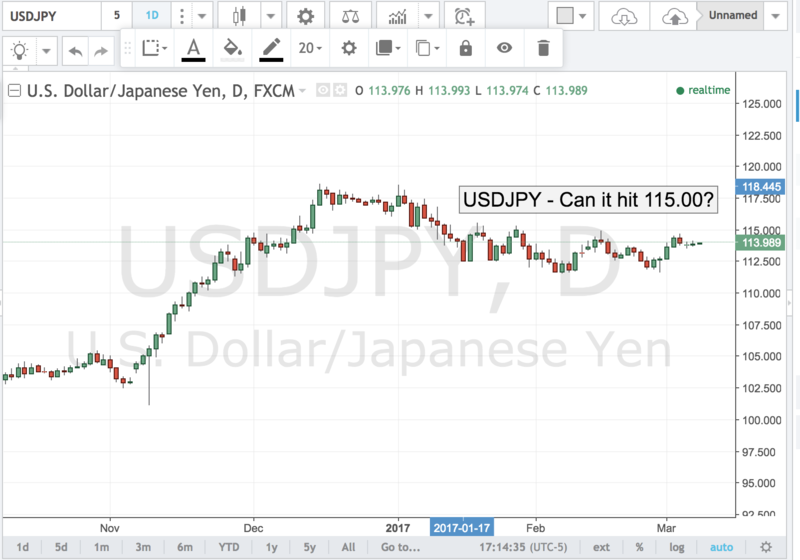 Will USD/JPY Hit 110? Not so Fast. After rising for 6 days straight, USD/JPY finally consolidated today above 109. The decline in Treasury yields prevented USD/JPY from rising but U.S. data was better than expected with jobless claims falling to its lowest level in 49 years. Durable goods orders also rose 2.6%, against expectations for 1.6% increase while the trade deficit shrank to -$68B from -$75.9B. There are 2 event risks in the next 24 hours that will affect how USD/JPY trades. Tonight, the Bank of Japan has a monetary policy announcement. The BoJ firmly believes in the need for easy monetary policy so no changes are expected but they will be releasing their latest economic projections including their first forecasts for 2020. Tomorrow, first quarter U.S. GDP numbers are scheduled for release and while investors are positioning for a strong report, the drop in non-defense capital goods orders, the stagnation in durable goods ex transportation, weakness in retail sales at the start of the year points to a softer release. Therefore if GDP falls short of expectations, we could see end of week profit taking in the greenback. Technically, USD/JPY has broken above the 100-day SMA and 50% Fibonacci retracement of June to December 2016 rally. However as shown in the chart, the rally stopped right at the 100-week SMA near 109.50. This is a significant resistance level that USD/JPY needs to break in order to make a run for 110. If it fails here, support is at 108.75 and a break below that level could see the pair slip all the day down to 108. One of the biggest stories next week could be a NAFTA deal. In the past week, both President Trump and Prime Minister Trudeau have said that significant progress has been made and its widely believed that a preliminary agreement will be announced at the summit in Peru beginning on Friday April 13th. With the Mexican elections fast approaching, if Trump wants a deal during a time when meaningful policy changes can still be made according to White House trade adviser Peter Navarro, “its got to be soon,” which means “2 weeks to 30 days.” Although Canada’s trade deficit widened more than expected, job growth was very strong in March with more than 32.3K jobs added, 68.3K of which were full time hires. 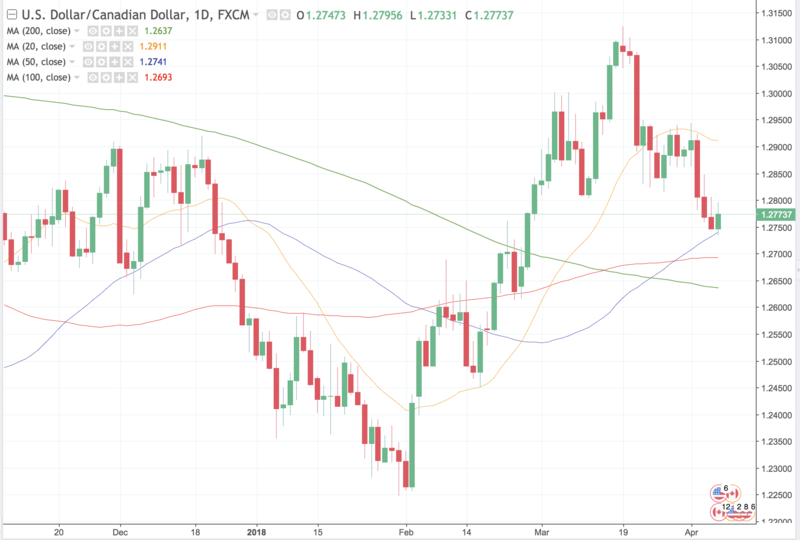 There are no major Canadian economic reports scheduled for release in the week ahead so if a NAFTA deal is announced, it could take USD/CAD to 1.26 quickly. Technically, there’s a lot of support below current levels for USD/CAD. On Friday, the pair’s decline was halted by the 50-day SMA near 1.2740. Even if the pair breaks below that level, the 100-day SMA and 200-week SMA sit right at 1.2700. A break below 1.2675 would be needed for an accelerated move lower. 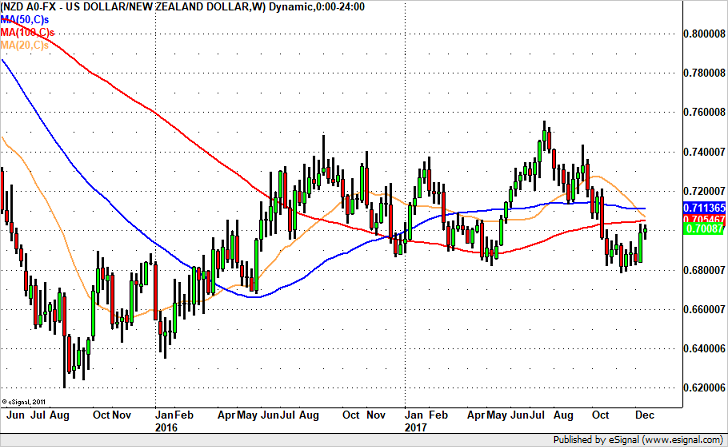 The New Zealand dollar has been very resilient in the face of mostly weaker data. Dairy prices dropped by the largest amount in a year, the trade deficit widened while Q3 GDP growth slowed. Although investors were relieved that GDP did not contract as much as it could have given the recent weakness in trade and retail sales, the data still shows a moderating economy. As a result, we continue to look for challenging times ahead as the softness of dairy prices hits farmers. Risk appetite is the only thing keeping NZD/USD supported and we may not see much of that next week. Technically, NZD/USD has been consolidating near the top of its recent range. 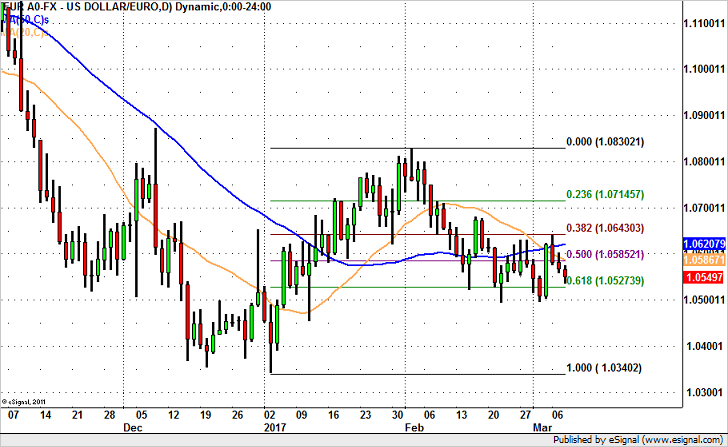 With many moving averages hanging above on the daily and weekly chart, we expect gains to be capped at 0.7050 and look for a pullback to at least .6925. 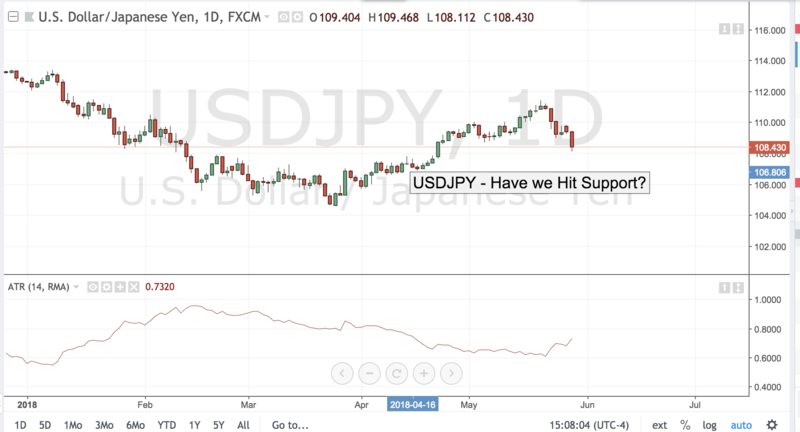 USDJPY – Can it Hit 112.00? Don’t look now but USDJPY is up nearly 400 pips since it hit swing lows nearly 10 days ago. The pair is forming a classic V-shaped bottom after being grossly oversold. Despite lackluster US economic data, traders are betting that the Fed will maintain its hawkish stance and will guide to confirm that a December rate hike is on track. US yields have also expressed that sentiment as they rose at their fastest pace since November. Tomorrow’s FOMC statement could be the make or break moment for the pair. If the Fed reaffirms that a rate hike is a possibility USDJPY could explode beyond 112.00 and could even push through the key resistance of 112.50 triggering massive short covering rally as a result. 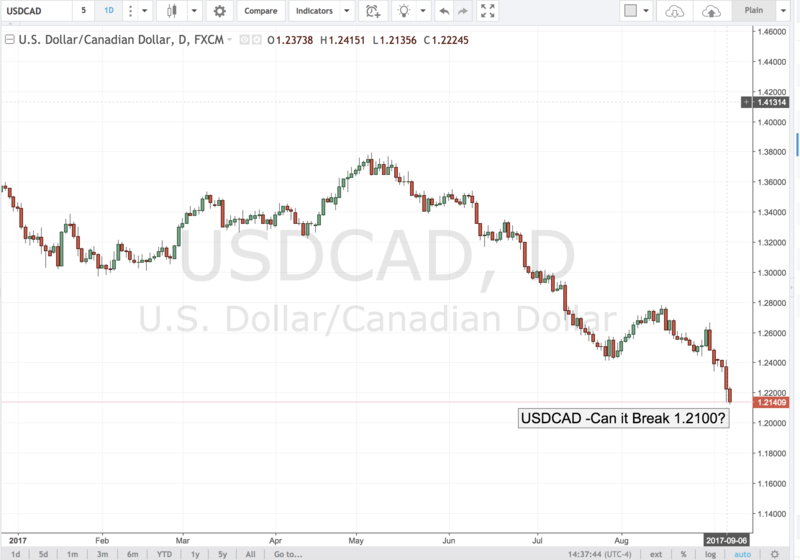 USDCAD – Can it Hit 1.2100? There is no doubt that the loonie has been the most powerful currency as of late. The pair, boosted by a hawkish BOC and surprisingly robust GDP growth has been on a one-way trip towards the key 1.2000 support level. Although the BOC appeared to indicates that its surprise rate hike this week may be the last one for the foreseeable future if the Canadian economy continues to surprise to the upside it may have to tighten monetary policy again. To that end, tomorrow’s Canadian employment data is sure to be the focus of the market as loonie long try to press the pair through the key long term 1.2100 support. If the labor numbers which are expected to print at 19K exceed estimates, USDCAD could see 1.2000 by next week. The worst performing currency this past week was sterling. 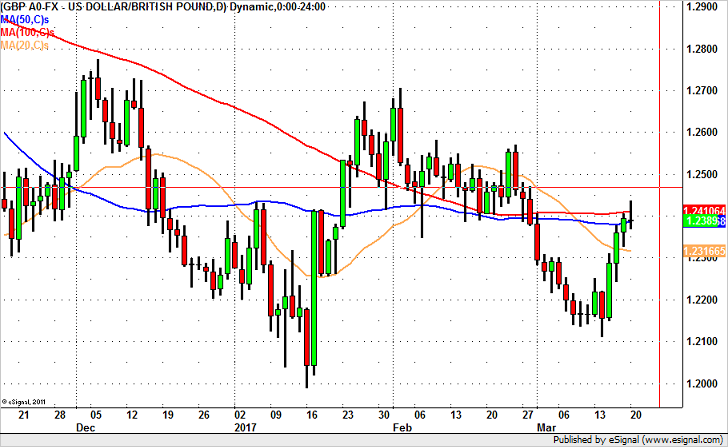 The terrible tragedy in Manchester combined with concern about Brexit negotiations prevented the GBP/USD from breaking above 1.30. The currency pair rose above this level on numerous occasions only to be met by heavy selling. First quarter GDP growth was revised lower (which is rare for the U.K.) and loans for house purchases eased. While this is significant, the market is still more concerned about the country’s escalated terror alert level and the tough negotiations with the E.U. Last week started with talk that the UK could walk away from Brexit negotiations if it is forced to pay their massive exit bill of as much as $100 Billion. At the same time the EU refuses to back down from their hard negotiating stance making the path forward difficult to perceive. Prime Minister May called for elections in June and her popularity has been negatively affected by some of the recent events in the country. Technically GBP/USD has completely broken down, marking 1.30 as the top. 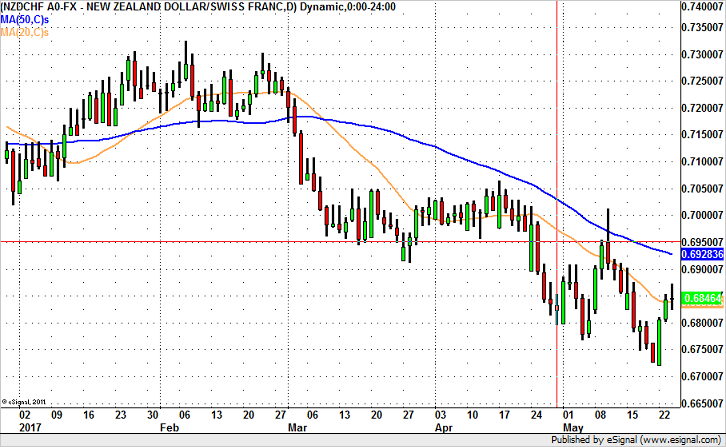 It is now trading below the 20-day SMA and likely to drop to 1.2700 as long as the pair remains below 1.2950. Last night’s stronger than expected New Zealand trade balance reinforces our view that New Zealand’s economy is on upside. The country’s trade surplus reached its greatest level since March 2015 as exports hit a 2 year high. Dairy exports in particular rose 35% but gains were also seen in demand for log and wine. These improvements should ease the central bank’s concerns and pave the way for the currency’s outperformance. We like buying New Zealand dollars against the Swiss Franc because European currencies have peaked and NZD/CHF is a lower vol EUR/NZD trade. Technically, the pair has broken above the 20-day SMA and appears poised to test/break 69 cents. There’s significant support below 67 cents but the 100-week SMA near 0.6782 should also limit losses. Over the past week we have seen consistent gains in GBP/USD – part of it was driven by U.S. dollar weakness but the Bank of England’s unexpected hawkishness also contributed to the move. As we start the new week, GBP/USD traded above 1.24 and many investors are wondering if the currency pair will extend to 1.25. If the U.K. government doesn’t trigger Article 50 and this week’s inflation and retail sales reports surprise to the upside, GBP/USD could reach that level. However if Article 50 is triggered and/or Federal Reserve officials suggest that they could tighten in June, the currency pair could give up its gains quickly and aggressively. 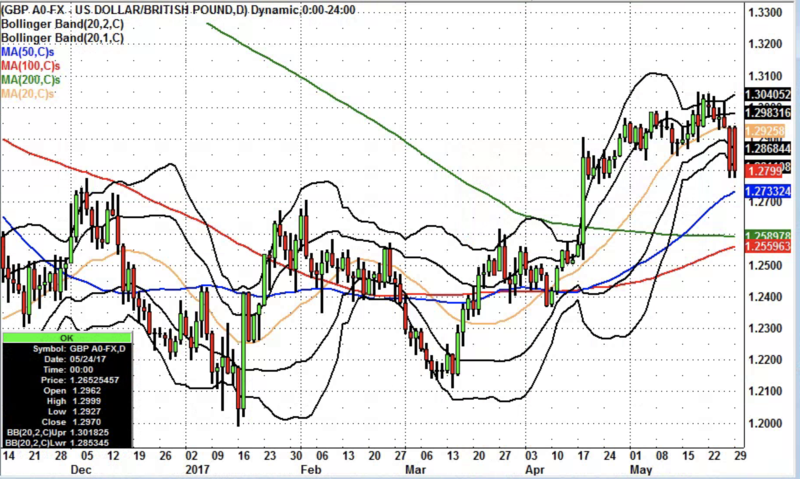 Sterling traders should be vigilant as this could be a big week for GBP/USD. \. At the end of the day, the ECB wants the euro to remain weak to support the economy and they will do everything in their power to prevent it from rising including downplaying or flat out dismissing upgraded inflation and GDP forecasts. Support in EUR/USD is at 1.05 and resistance is at 1.0640. Technically lower highs and lower lows signal further losses in EUR/USD. However there’s significant support near 1.05. If EUR/USD holds that level, it could drift back up to 1.0650. However if it breaks it in a meaningful way then the next stop will be 1.04 and possibly even the 14 year low of 1.0340. 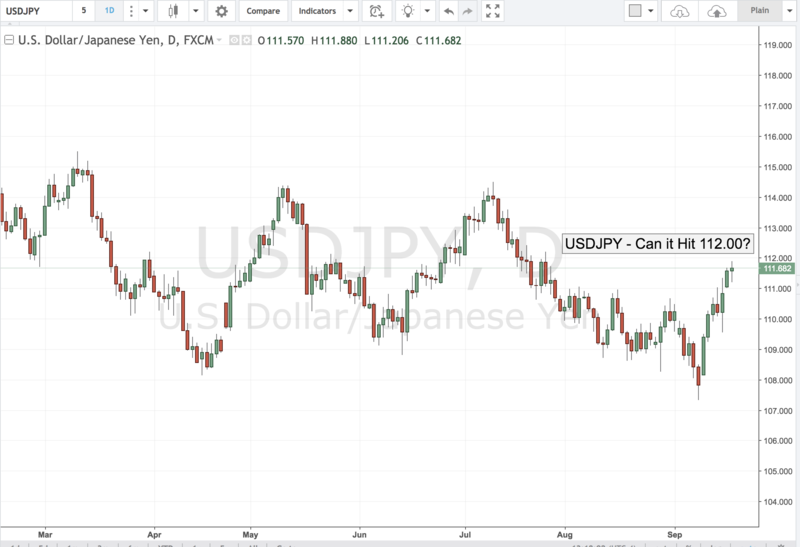 USD/JPY – Can it Hit 115.00? After weeks of listless trade, USDJPY is showing some signs of life as it continues to hold on to the 114.00 figure. Although today trading was decidedly muted the recent price action has all the marks of a dollar breakout. The benchmark 10-year rate inched above the key 2.50% level helping to fuel pro-dollar flows after several days of very lackluster action. The currency market may be finally responding to a more hawkish Fed that has consistently signaled that it is on a path to hike rates 3 rather than 2 times this year. Expectations for a Fed hike in March have ratcheted up considerably with Fed funds futures now assigning a higher that 50% chance of an increase. 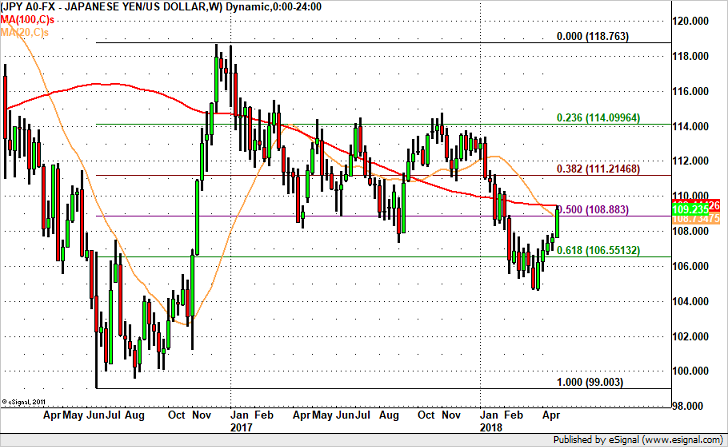 Still, the dollar rally remained within the recent boundaries of the range. If the US labor data, starting with ADP tomorrow proves to be supportive the greenback will still need to take out the key levels at 115.00 USDJPY to confirm that this breakout is real.